A fortnight ago, my husband was looking up Noel's House Party on the internet (don't ask). This in turn led to him doing an image search for "Mr Blobby" (really don't ask). In amongst the pictures of the yellow-spotted pink abomination nestled an even greater insult to nature - the feller above, Latin name Psychrolutes marcidus, common name "Blobfish". No, seriously. Slightly over-excited at this discovery and wanting to share the love, I immediately went on Twitter and posted a link. 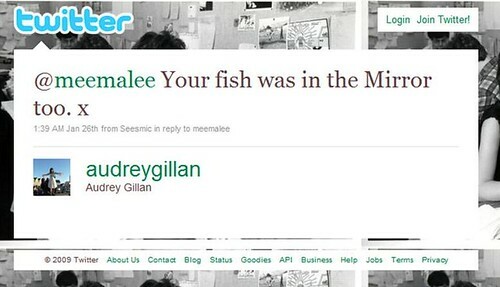 It got retweeted a couple of times by the Twitterverse. And then I thought nothing more of it. 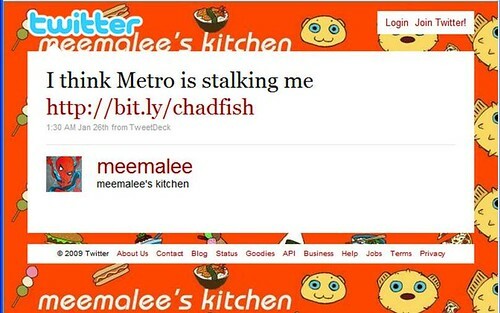 Coincidence, much? I went back on Twitter to share my concerns. 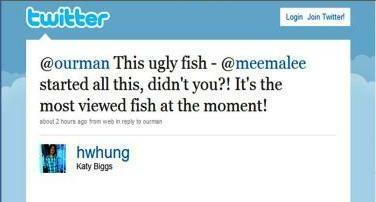 And indeed the Mirror had also written about our friend, the blobfish. 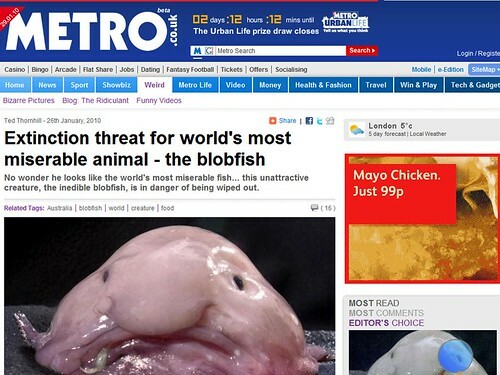 I think the height of newfound blobfish hysteria was finally reached when Mr Blobfish featured in the Daily Telegraph of all places, and a Twitter friend in Vietnam posted a link to the article. 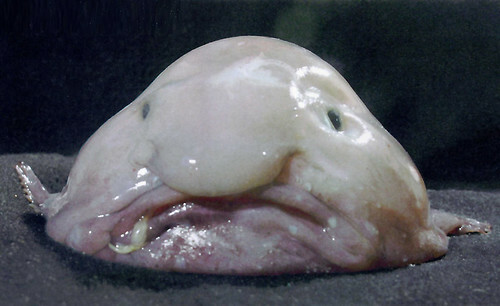 Don't get me wrong, the cult of the blobfish has been around for ages - just google its name and you'll find countless motivators have already been made, all extolling the virtues of our lumpy friend. But I can't help thinking that I kick-started this revived interest and thus even raised awareness that the blobfish is facing extinction. And of this I am proud. 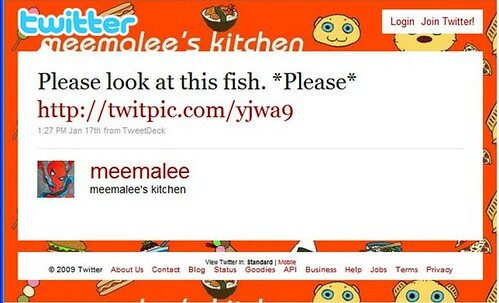 meemalee's kitchen - Breathing life into old memes since 2010. 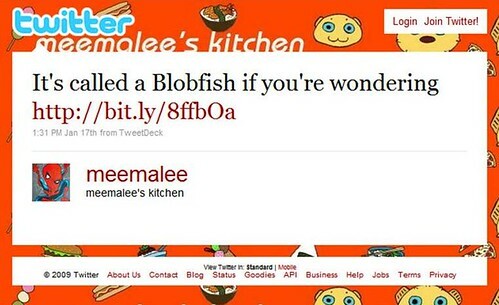 You've given Mr Blobfish new life it seems! And it was on Jonathan Ross too! Well may be my net connection is too slow right now or may be possible image is too large. So it's loading on and on from long time so I will come back to see the new life of Blobfish. @TheFastestIndian - No way! Awesome!